One of our favourite things about living in Leeds is that it is so close to so many other amazing places and they are so easy to get to. Whilst our Dad's spent the day at the cricket (also close to our house) we took our Mum's and Harry on the train to Knaresborough - a little market town just a few stops away. 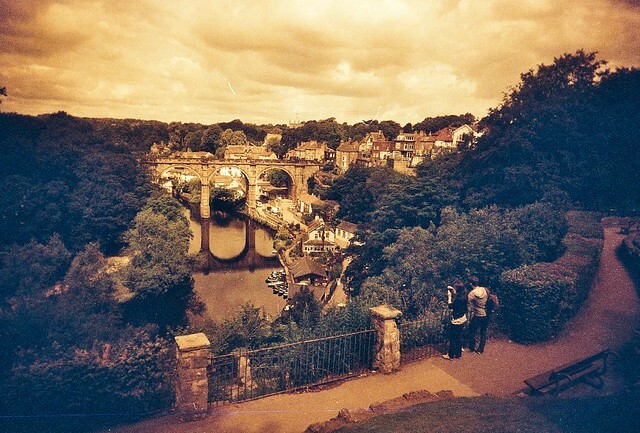 I love Knaresborough, it is easily one of the prettiest places that I have ever been too, we visited last year but this time it was so much more fun with our family and cameras!